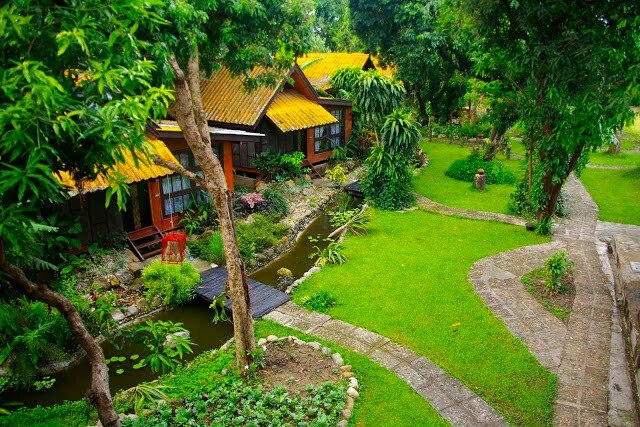 Areeya Phuree Resort is the perfect getaway. It is simply an ideal resort for honeymooners, couples, families or those seeking to get away from the busy mainstream holiday areas. Here, you can enjoy the beautiful mountaineous view and just below the mountain is the Maekok River which not only sets up a unique experience of holidaying right by the river, but it also serves a route which takes you all the way to Chiang Rai. Certainly an ideal location as a stop over for you to take a breathe of fresh air before heading on your journey. Our resort provides you with the best service as we offer delicious authentic Thai food. We grow most of own organic vegetables in our garden. Here, you can enjoy your day lazing in the pool with the view of the mountains. 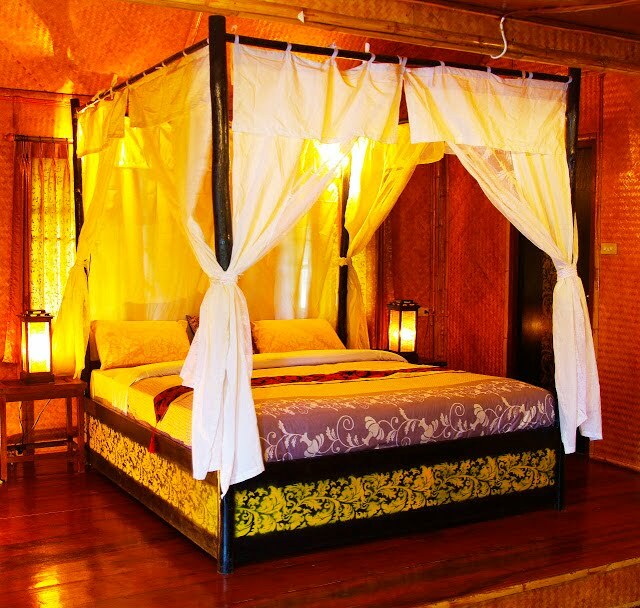 A wonderful way to relax after a day out is by getting a Thai massage, which we also provide. 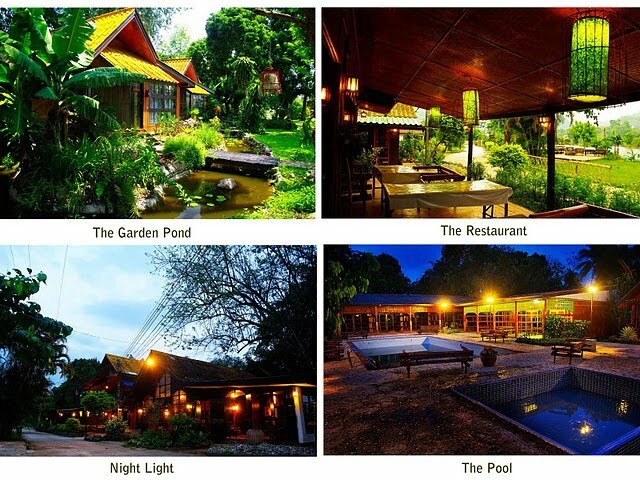 During your stay at Areeya Phuree Resort, there are many activities for you to enjoy. There is the famous Thanaton Orange Farm, the Mineral hot spring in Fang, and in less than a kilometre away is the Wat Thaton where you can enjoy the full view from the top of the mountain along with beautiful buddha statues. The Karen Long neck hill tribe is very nearby and we also offer a tour service for a daily visit. Peaceful, surrounded by nature, you see greens all around you which ever direction you turn, a tranquil river runs right pass the resort, deliciouss authentic Thai cuisine in our own kitchen, wonderful cultural locations around the area to visit...Areeya Phuree Resort really does have it all. which is in the beautiful and natural Tha Ton valley, next to the border with Myanmar.